When I was a child, my mother would very occasionally bring home pop tarts. I had a pretty big sweet tooth and you would think I would be excited about this rare treat but I can’t say that I loved them. 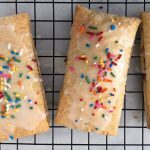 Don’t get me wrong, I would still eat these pop tarts but I was used to homemade baked goods and store bought pastries did not quite measure up. It was only recently that the idea of making my own pop tarts occurred to me. After looking into it I quickly saw that the idea is not exactly unique, but I decided that my pop tarts would be among the best. I think I did just that with this amazing recipe for Raspberry Pop Tarts. On the surface this should have been easy. 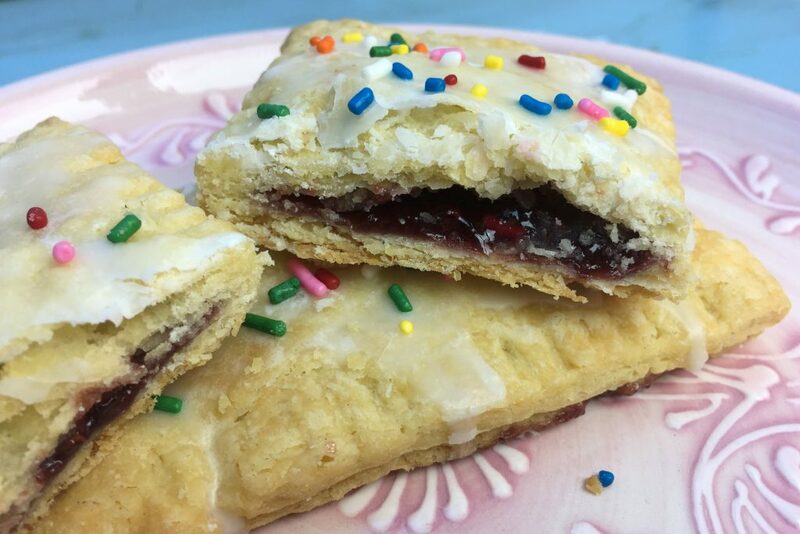 I mean what is a pop tart but simply a pastry crust filled with jam with a little frosting on top. The question became what kind of pastry dough should I use to make them. With my first attempt, I used my recipe for pie dough. So easy. Flour, butter, a little sugar, salt and ice water. Rolled it out, made the tarts and baked them off. Soooo good. I mean “Oh my goodness” good. I could have just stopped there, wrote the recipe, took a few pictures and be done. But then I noticed that Joanne Chang had a recipe for pop tarts in her cookbook “Flour” that was very different. Her pastry dough recipe had egg yolks and milk in it. Her technique of making the dough was different too. Was it better? She is an amazing baker so how could I not test it out. OK. 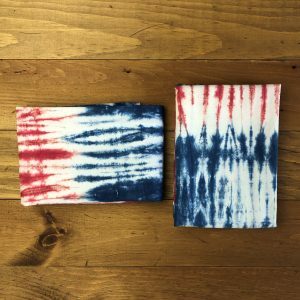 I found that both pastry dough’s made delicious pop tarts, but there were differences. My pie dough recipe produced a light flaky crust and her pastry dough recipe produced a flaky but slightly sturdier crust with a wonderful delicate crumb. They both tasted good but I could not deny it, her’s was closer to what a pop tart should be, only so much better. Apparently they are a very popular item at her bakery in Boston. Do I have a moral to this story? Yes I do. I will say if you have a favorite pie crust dough that you use, go ahead and make these tarts with it. I’m sure they will be wonderful. But if you are feeling a bit adventurous give this pasty dough a try. 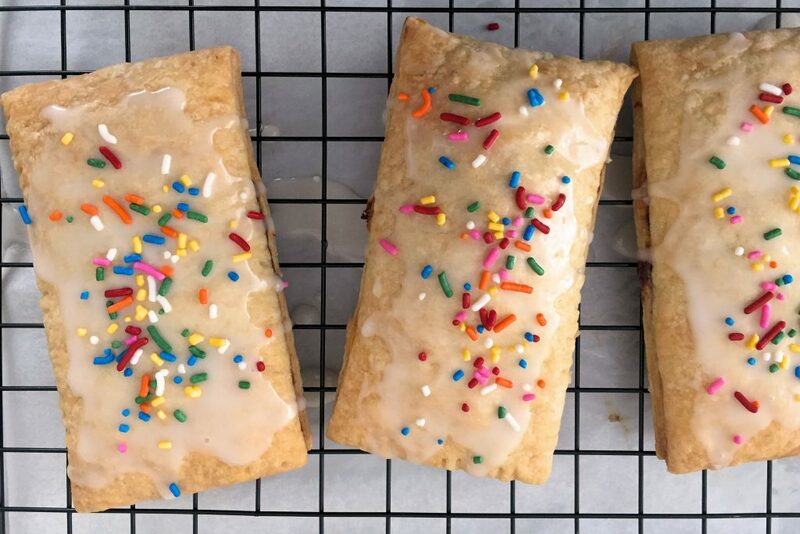 It is actually easy to make and I promise you will end up with the most delicious and delectable pop tarts that you have ever had the pleasure of eating. And I’m pretty sure that you will not be buying those ones at the grocery store any more. There is no going back. Measure out all of the ingredients. Weigh the flour and then add the sugar and salt in a medium size bowl. Set aside. Whisk the egg yolks and milk together in a glass measuring cup and put in the refrigerator. Cut up the butter into 12 pieces and put it back in the refrigerator as well. You want to keep your ingredients cold. Transfer the dry ingredients into the bowl of a stand mixer with a paddle attachment. On low speed, mix the dry ingredients for about 15 seconds. Add the cut up cold butter to the flour. Mix on low speed for 1 to 1 1/2 minutes until the pieces of butter are the size of walnuts. Add the egg yolk and milk in all at once and blend on low speed for about 30 seconds. You should have a clumps of dough with no egg showing. Do not over mix. Dump the dough on to an un-floured counter top. Gather the dough into a loose ball. On one side of the dough, take the palm of your hand and press down and outward for around 6 inches. You are smearing the dough. Any chunks of butter that were there will now appear to streak across the dough. Move your hand over and do the same to another section of dough. When the entire ball of dough has been "smeared", gather the dough together. 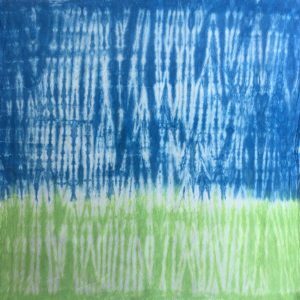 If you still see large pieces of butter, you could do this process again. It is fine if some smaller butter pieces are still visible. This is easy but work quickly to keep the dough cold. 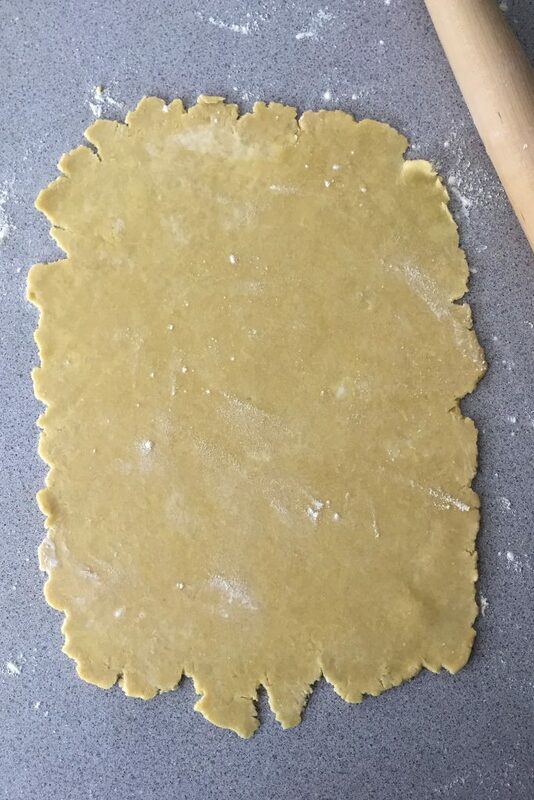 Shape the dough into a rectangle. 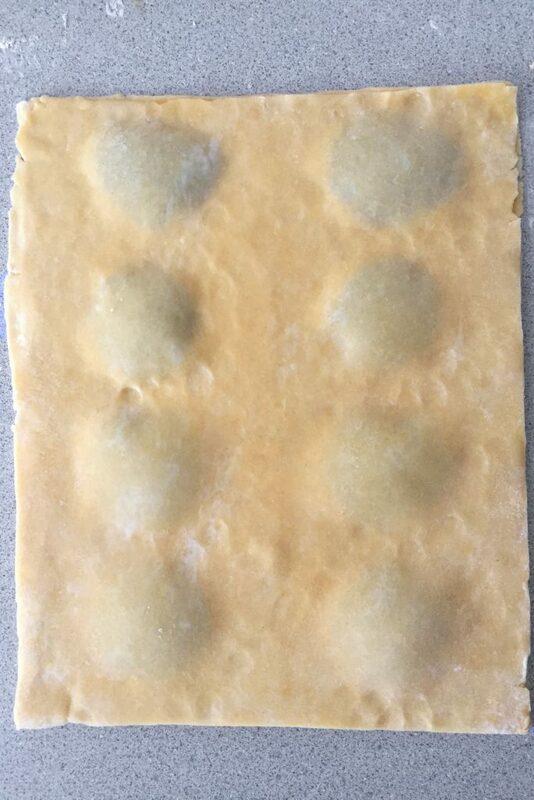 Wrap in plastic wrap, press the dough down to form a flat rectangle about 2 inches thick and refrigerate the dough for at least 2 to 4 hours. * The dough can be made a day ahead or frozen. Take the dough out of the refrigerator. Cut the dough in half so you now have 2 smaller rectangles. Re-wrap one and return it to the refrigerator while you are rolling out the first one. Roll out the dough on a lightly floured counter top until you have approximately an 11" x 14" rectangle. Trim the dough so you have sharp square edges. Your rectangle will now measure slightly smaller. Repeat with second piece of dough. You want the 2 rectangles to be the same size. 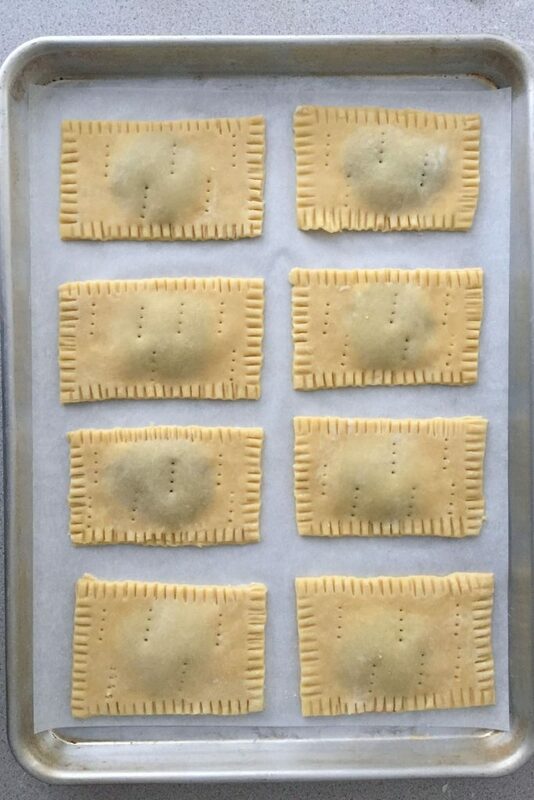 Lightly score the first pastry sheet so that you have 8 rectangles, approximately 3" x 5". You are just looking to end up with 8 tarts that are ruffly the same size. Lightly brush the egg on to the scored pastry sheet. This will act as the glue to hold the 2 sheets together. In the middle of each scored rectangle, spoon about 2 tablespoons of raspberry jam. Take your second pastry sheet and place it on top of the buttered one. You will see 8 bumps where the jam is underneath. Carefully press down using your fingers around the jam. Using a sharp knife or a pizza cutter, cut out your 8 tarts. 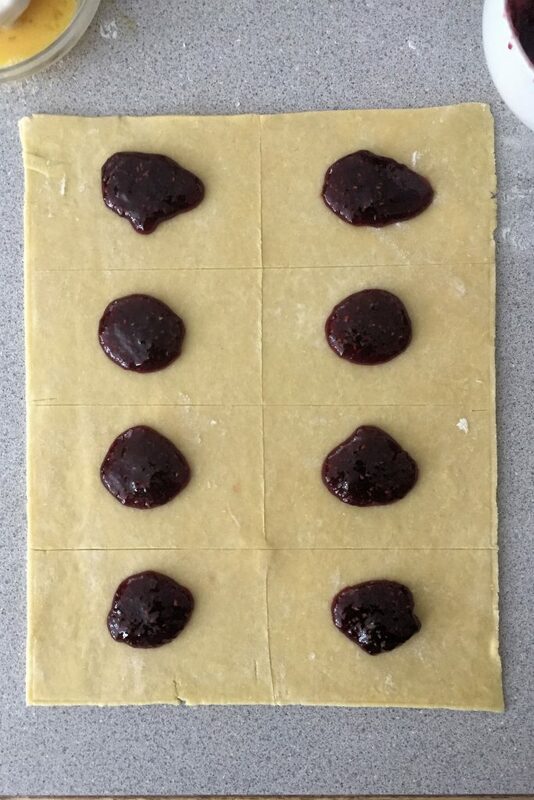 Using a fork, press down to seal the edges of each tart. Place each tart on to the baking sheet. Take a fork again and poke a few holes around the top of the tarts. This will let some of the steam escape while they bake. Bake for 25 to 30 minutes. Or until a very light golden brown. Do not over bake. Remove from the oven and transfer the tarts on to a cooling rack. Cool for 30 Minutes. In a small mixing bowl, whisk together the confectionery sugar, the vanilla and a few tablespoons of water. Add more water if needed. You are looking for an icing that is slightly pourable. Spoon the desired amount of icing over each pastry. Sprinkle with colored sprinkles if desired. Let the glaze set for about 15 minutes before serving. Read the whole recipe through ahead of time. There are many steps but they are all easy. Please notice that the dough has to be made ahead of time and rest in the refrigerator. The original recipe has you refrigerate the dough for at least 4 hours. I refrigerated it for 2 hours and it was all fine. l know the recipe for the pastry dough seems long. It's really not. Once I measured out the ingredients, I had the dough made and in the refrigerator in less that 10 minutes. 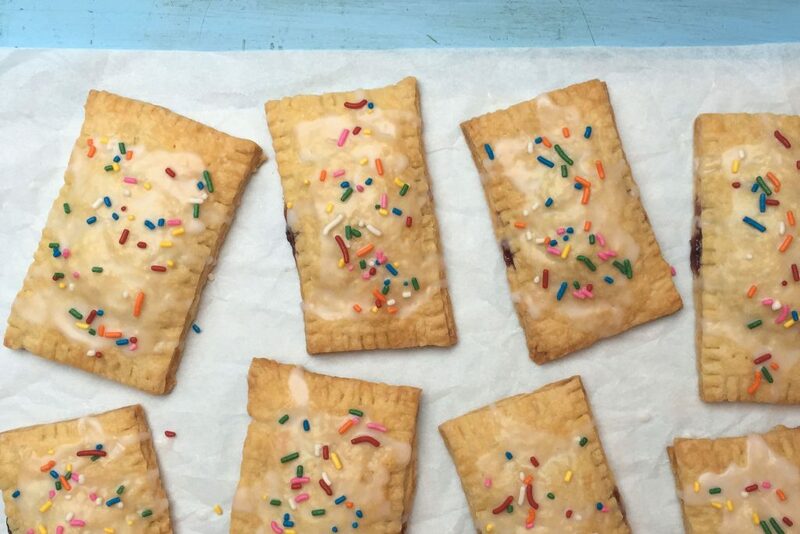 You can make your pop tarts any shape and size you want. You can substitute the raspberry jam with any favorite fruit jam. *Adapted from Joanne Chang's recipe found in her cookbook "Flour".